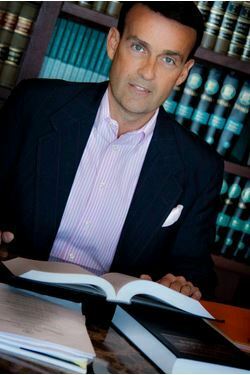 Greg Coleman is the Founder and Managing Partner of Greg Coleman Law PC with 27 years of trial and appellate experience. Greg received his B.A. with highest honors and distinction from Jacksonville State University in 1986. He attended The University of Tennessee College of Law, graduating in 1989. In addition to distinguishing himself academically, Greg was a member of the National Trial Moot Court Team, was the recipient of the American Jurisprudence Award for National Trial Team and was listed in Who's Who Among Rising Young Americans. In addition, the College of Law bestowed upon Greg the honor of inclusion into the National Order of Barristers for outstanding oral advocacy and trial skills. Greg's practice focuses on class actions, products liability, medical practice, personal injury, complex multi-district litigation, litigation, toxic torts, premises liability, ERISA, ERISA class actions, drug and medical device litigation, and workers' compensation. [T]he class has been enormously well represented by the attorneys in this case. I started with the observation that this was a historic moment. I genuinely believe that. The plaintiffs and the members of the class have been enormously well represented by counsel. [T]here is no doubt that the settlements herein represent excellent result for the class members and obviate all risk of continued litigation. [T]he Court finds that the hourly and salaried settlements represent excellent result for the class members and provides them with a substantial benefit. I reach the conclusion based on acknowledging the extraordinary benefit achieved for the class, the high level of value of these plaintiffs counsels services. The lawyers here are excellent, highly regarded, and their service has brought great value to the class. I acknowledge this was a complex and demanding case involving a great deal of work and that the end result occurred largely, if not fully, attributable to the diligence, determination, hard work of plaintiffs counsel, who were vigorously contested, as the company was represented by extraordinary lawyers. He was also lead trial counsel in an ERISA class action case against AK Steel Corporation where he successfully obtained a $15.8 million settlement on behalf of a class of over 250 retirees of AK Steels Zanesville Works Plant in Ohio in 2012. He was lead counsel in a week-long trucking accident trial where he obtained the largest negligence verdict in the state of Tennessee for 2009. Jenkins v. Keeble, Davidson County. He has been co-lead counsel in a class action case involving Jewelry Television. He was also co-lead counsel in a Fair Labor Standards Act case against Westgate Resorts styled Davis v. Planet Hollywood Las Vegas in U.S.D.C., District of Nevada, which has now been settled. Additionally, Greg was co-lead counsel in a Fair Labor Standards Act case against Westgate Resorts styled Watson v. Westgate Resorts, Inc. in U.S.D.C., Eastern District of Tennessee, which has been settled. Greg Coleman has been and is currently involved in complex product liability and drug product liability litigation and has tried more than one hundred (100) jury trials and countless other bench trials during his career. He has tried jury trials in states other than Tennessee and has been admitted pro hac vice in complex matters around the country, including a six-week long jury trial in Sacramento, California, for which he was lead counsel. West v. East Tennessee Pioneer Oil Co., 172 S.W. 3d 545, Tenn. 08/18/2005, which is a Tennessee Supreme Court case in which the Supreme Court ruled a convenience store had a legal duty to the plaintiffs Gary West and Michelle Richardson (Greg's clients) for selling gas to an obviously intoxicated driver, who then had an accident with Gary West and Michelle Richardson on the roadway. This case was the first case to find that a convenience store had a legal duty to a driver on the roadway (Gary West and Michelle Richardson) for selling gas to an obviously intoxicated driver who then had an accident with Greg's clients. Satterfield v. Alcoa, Inc., 266 S.W. 3d 347 (Tenn. 2008), which is a Tennessee Supreme Court case in which the Supreme Court ruled that a duty is owed by Alcoa to a non-employee household member as it relates to the household members contraction of mesothelioma. Merkner v. AK Steel, 2010 U.S. Dist. LEXIS 12742, 48 BNA 1923. Lowther v. AK Steel, 2012 U.S. Dist. LEXIS 181476, 54 BNA 1931. He is certified as a Civil Trial Advocacy Specialist and as a Civil Pretrial Advocacy Specialist by the National Board of Trial Advocacy. Greg is a member of the American Bar Association, Tennessee Bar Association, and is also a member of the Knoxville Bar Association. Named the 2016 and 2018 Knoxville Lawyer of the Year for Product Liability Litigation, Greg is listed in The Best Lawyers in America in the categories of personal injury and product liability and has been named one of the Top 100 Trial Lawyers by the American Trial Lawyers Association. He has also been named by the U.S. News and World Report as one of the best lawyers and law firms in the country. 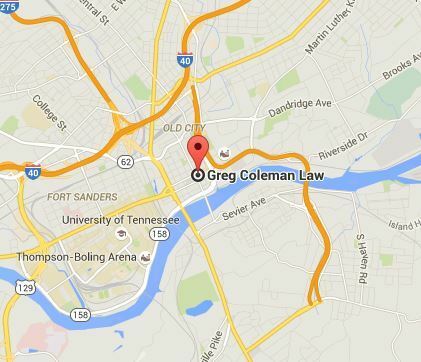 Additionally, Greg has been recognized as one of Knoxville's Top Attorneys in six separate categories. Greg is proud to have been recognized by his colleagues through nomination to the Martindale-Hubbell Bar Register of Preeminent Lawyers which includes only those select law practices that have earned the highest rating in the Martindale-Hubbell Law Directory and have been designated by their colleagues as preeminent in their field. He is AV Peer Review rated by the Martindale Hubble Legal Rating System and is a Charter Member and Fellow of the Litigation Counsel of America, "a trial lawyer honorary society established to reflect the new face of the American Bar with limited membership representing less than one-half of one percent of American lawyers and is by invitation only." He is a Mid-South Super Lawyer representing the top five percent of Arkansas, Mississippi, and Tennessee attorneys. Greg is a lifetime member of the prestigious Multi-Million Dollar Advocates Forum, an organization whose members is limited to attorneys who have won multi-million dollar verdicts and settlements. He is a Charter member of the Knoxville Chapter of the American Inns of Court and a member of the American Association for Justice and Public Justice. 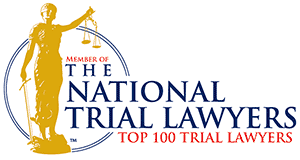 Greg has been featured in Newsweek Magazine in their Showcase of Nationwide Top Attorneys. Greg has served as a guest lecturer and speaker on Advanced Trial Advocacy and at national seminars, including those sponsored by the Tennessee Bar Association and the National Business Institute. He has lectured extensively for many years on topics such as advanced trial tactics and strategy and complex litigation matters. He has authored published materials regarding advanced trial strategy, ethics seminars, as well as numerous other publications for CLE seminars at which he has lectured. Greg has been actively involved in civil and charitable activities, having served for many years on the Executive Board of Trustees for the Baptist Health System, including the Baptist Hospital of East Tennessee and related entities, and has been involved in many legal aid and pro bono projects in the Knoxville area. Greg and his firm are donors to the annual Mission of Hope Christmas Barrel drive providing warm coats for the children of rural Appalachia. In support of the Knoxville Academy of Medicine and Knoxville Academy of Medicine Alliances Conversation Ready Project, Greg performed at the A Little More Conversation event. The Conversation Ready Project is a program of the Knoxville Academy of Medicine Foundation and was formed to ensure that everyone's end-of-life wishes are expressed and respected.